BentSpoke owners Richard Watkin and Tracy Morgan. File Photo. BentSpoke has once again put Canberra on the international brewing map after claiming gold and silver for the second time in a row at the International Brewing & Cider Awards. The Canberra-based brewery won two medals at the oldest brewing competition in the world, with the popular Barley Griffin awarded gold while Crankshaft took home the silver in the International Smallpack Ale categories. It is the second time in a row for Barley Griffin and Crankshaft, who were awarded gold and silver at the last awards two years ago. The 130-year-old competition – which attracted more than 1,000 entries from 200 breweries in 50 countries – was judged by an international panel of professional brewers and is considered among the industry’s most coveted awards. Medals were awarded across nine beer categories, with only three other Australian breweries recognised in the awards – Castlemaine Perkins from Brisbane, J Boag & Son from Launceston and Tooheys from Sydney. 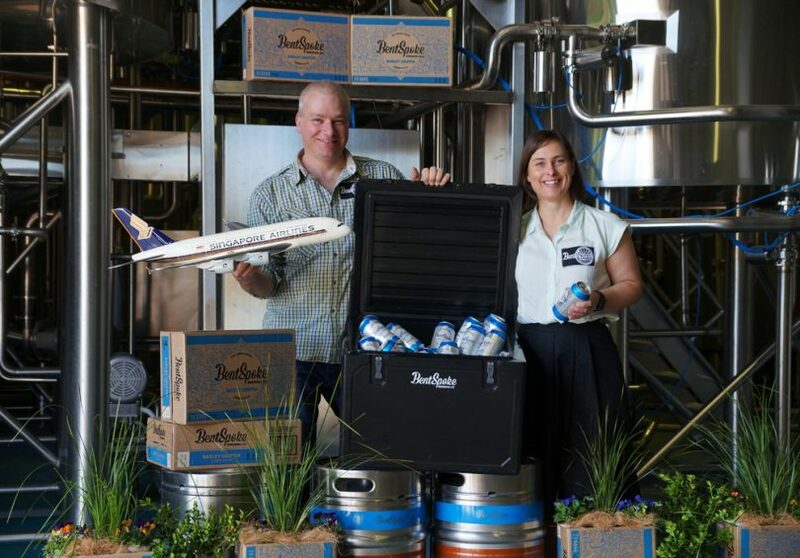 BentSpoke’s head brewer and co-owner Richard Watkins said he was really proud to represent the nation’s capital on the world stage. “In the ever-growing world of craft beer, holding your place in the podium finish is no easy thing,” he said. “It is hard enough to win any awards but when you win awards back to back, it’s incredibly humbling. “This award has been around for so long and has got a lot of history to it so to win a couple of medals is really pleasing. “Canberra is really punching above its weight in terms of beer quality and I think between us and Zierholz, Capital Brewing Co and Pact all doing our thing and punching out really good beers. It is really good to see. Our cloudy but fine, Barley Griffin has taken out gold at the International Brewing Awards for the second time in a row! Our flagship Crankshaft has also been awarded silver, also for the second time. The International Brewing Awards are amongst the most prestigious of its kind, known for having high standards, judged by industry peers and highlighting the best beers in the world. In the ever-growing world of craft beer, the holding your place in the podium finish is no easy thing. Mr Watkins said the gold and silver medals will hang up in the Braddon pub, to show visitors and regular customers the quality of their product. “Any type of feedback we get, whether it’s from a punter in the pub coming up to me and saying how good the beer is or whether its a professional beer judge assessing our quality and awarding us a medal is important for us,” he said. The awards will wrap up with the medal presentations at London’s Guildhall, where members of the international brewing and cider-making community will come together to celebrate the 2019 trophy winners.